Home-cooked meals, visits to sacred houses of Yoruba/Ifa religion, walking and classic car tours, lectures, live performances, and more - A Diaspora À La Carte Experience is an affordable, individual pre-planned cultural exchange activity. Diaspora Experiences are designed for self-guided travelers that have organized their flight and accommodations in Cuba, but are looking for special activities on certain days during their stay. Don’t see exactly what you’re interested in? Contact us - we’ve been traveling to Cuba for over a decade and have connections in various provinces and industries, and can curate an Experience based on your interest. To read our FAQ about Experiences, click here. Be welcomed to the island with a spread of hot, home-cooked dishes and our network of Cuban friends and family. Ask questions and discuss Cuba’s history and culture during an intimate dinner that will prepare you for explorations on the island. Highly recommended activity for all first-time travelers to Cuba to receive guidance on how to navigate the island including social practices, currency exchange, wifi-zones, transportation, and more. 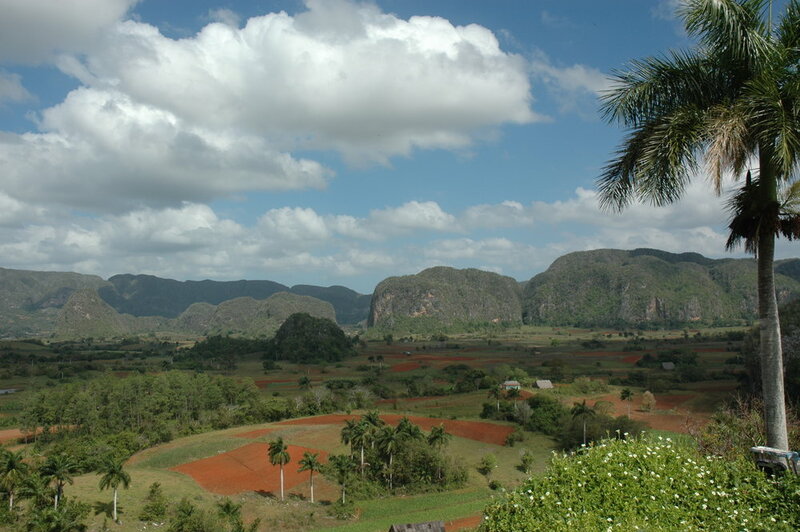 Tour the breath-taking landscape of Valle de Viñales (“Viñales Valley”) encircled by mountains and full of lush farms and lively villages. Enjoy an underground river boat ride, tour a tobacco farm, and participate in cigar rolling demonstrations. Transportation & Lunch Included. Take your pick of rhythms between Cuban dance styles of Son, Salsa, Casino or Rumba. Learn the moves in a group dance class where you’ll be paired with a professional Cuban Dance Instructor. Learn about the wide spectrum of religions practiced in Cuba and the emergence of syncretism. 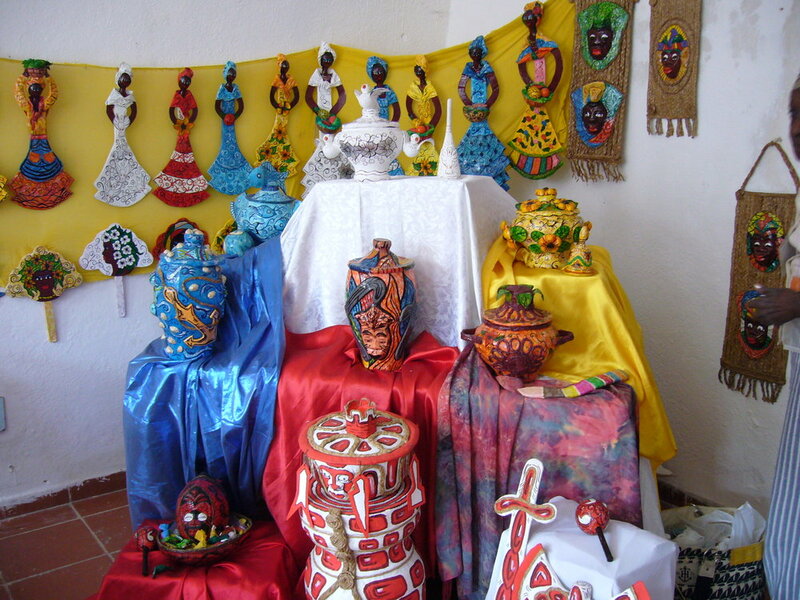 This activity will explore Afro-Cuban religious traditions, while visiting centers in the towns of Regla and Guanabacoa where the traditions are part of the everyday life of the residents. Walk through Central Havana guided by a Cuban tour guide to get an up-close view and in-depth understanding of stories inside the contemporary, colorful city. Walk back in a time with a guided tour of the historic La Habana Vieja (Old Havana) holding architectural treasures dating back over five centuries. Hop into a classic Cuban car to tour and discuss residential neighborhoods. From housing, community stores, parks, and public art - be inspired by the Cuban style of life. Visit Muraleando, an community art center in Havana. Music, dance, sculpting, painting and other fine arts are all part of the project that inspire the lives of local residents. Learn about the rich history of Regla de Ochá/Santeria, the Cuban synchronization of the West African Yoruba religion with Catholicism, and culture. By the shore, we will interact and discuss with a Babalawo (spiritual leader) of the faith with a particular focus on female Orishas (deities) who have a close association with water, Yemayá and Ochún, before an offering to the Orishas at the water. Enjoy a welcoming home-cooked lunch or dinner at a Cuban home prepared by our friends and family. Receive a presentation on and discuss a subject of your choice such as religious practices (Regla de Ochá/Santería, Espiritismo Cruzado, and others), Hip Hop in Cuba, Race Relations in Cuba, or anything you can think of. Enjoy a selection of cuisine at a hand-selected Cuban restaurant with our friends and family and receive a presentation on and discuss your topic of choice such as Cuban Law & Governance (with Cuban Lawyers), Operating a Business in Cuba (With Cuban Entrepreneurs), or more, with Cuban professionals to expand your network. Go on a guided tour and discuss one of the epicenters of Afro-Cuban art and tradition. Surrounded by houses and buildings covered with large murals in vivid colors, the residents and visitors celebrate the widely-practiced religion of Santería. Indulge in rum and cigar on our tour of a working cigar factory in the 18th century colonial townhouse, the Museo del Ron Havana Club (“Havana Club Rum Museum”), and touring various cultural and commercial centers related to Rum & Cigars. Go on a guided walking tour of El Gran Palenque, a cultural center and outdoor performance space known for its a long-standing dance gatherings exhibiting African rhythms and religious dances, where you can learn about the origins and culture of this Afro-Cuban center, before attending Rumba at El Palenque, a Saturday gathering where the drums beat for hours for dancing rumba, guaguancó and yambú. This experience is only available on Saturdays. Visit one of the many government owned and managed Cigar Shops. Enjoy a presentation and discussion about the industry in one of the private smoking rooms, along with cigar tastings and the opportunity to purchase cigars to take home. Tour El Centro Memorial Martin Luther King and the neighborhood that it services to discuss the influence that the US Civil Rights Movement had on ideas of social justice, equality, global demilitarization, and peace in Cuba. Visit and learn about The Black Doll Project named after a story written by Cuban author José Martí. The Black Doll Project is a workshop cooperative of women artisans who hand-make Black dolls and other items to sell, using various materials including papier-mâché, plastics, and cloth. Learn about Cuban society and culture through live art performances by Cuban artists, poets, and singers, at an open-mic styled affair on a rooftop of a residential home in Cuba, featuring a Cuban DJ and a selection of adult beverages. Witness performances by renowned artists in Cuba’s Hip Hop scene followed by an honest discussion of the history, development, and social impacts of the art form to express ideas for change relating to social and political issues on the island. Transportation included. Visit a local independent music studio in Cuba for a tour of the production house, listening session, and a discussion with one or more Cuban Producers about the art and business of the music industry.